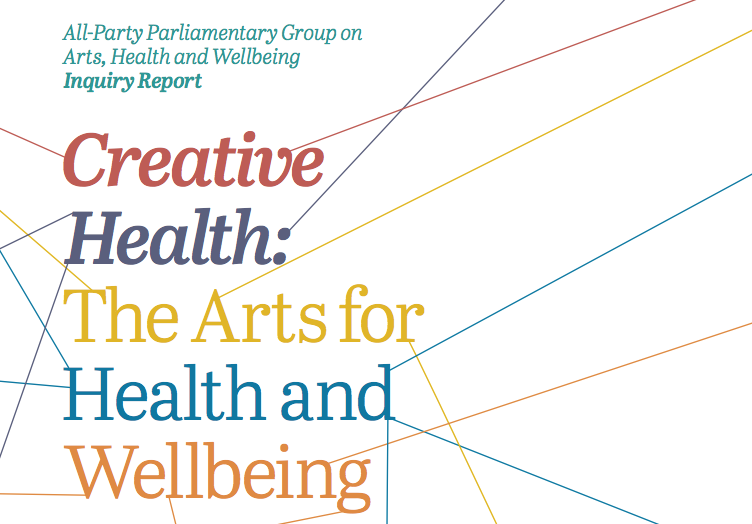 The work of Performing Medicine has been praised in Creative Health: The Arts for Health and Wellbeing, the Inquiry Report for The All-Party Parliamentary Group on Arts, Health and Wellbeing (APPGAHW). Between 2015-2017, the APPGAHW conducted an Inquiry into practice and research in the arts in health and social care, with a view to making recommendations to improve policy and practice. “In most arts-based programmes in medical schools, artists and arts organisations are invited in to provide expertise or deliver a specific aspect of a programme, with medical students sometimes being taken into cultural environments. At present, it is rare for arts-based activities within medical schools to involve deeper collaboration with artists or arts organisations. An exception to this is the work of theatre company Clod Ensemble, led by artist Dr Suzy Willson, who is an Honorary Senior Lecturer at Barts and the London School of Medicine and Dentistry, Queen Mary University of London. The Inquiry Report was supported by National Alliance for Arts, Health and Wellbeing, King’s College London, the Royal Society for Public Health and Guy’s and St Thomas’ Charity.